This scrip is from the Glen Alum Coal Company mine with a value of 10¢. Glen Alum Coal Company was founded in Glen Alum, West Virginia in 1904 and operated until 1951. Glen Alum Coal Company, "Glen Alum Coal Company" (1948). 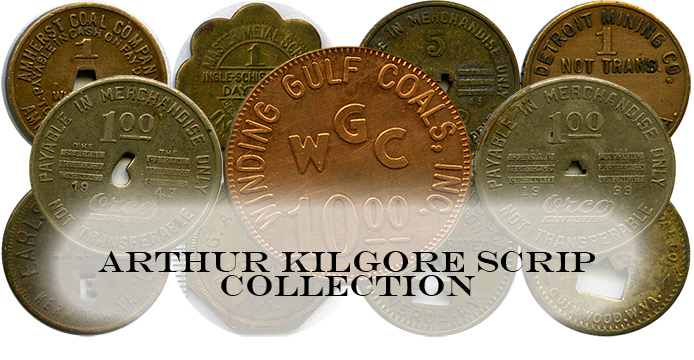 Arthur Kilgore Mine Scrip Collection. 66.